My office smells like vomit and I cannot figure out why. 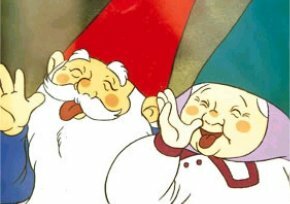 It smells like David the Gnome and a couple of his drunk gnome friends threw up all over my office, in places that only a gnome could throw up. The more I smell it, the more it smells like stomach acid. It did not smell like vomit this morning when I first got to work, therefore, the gnomes must have come in while I was at lunch and ralphed all over my office. Nobody elses office smells, just mine. You better believe if I catch David or any of his friends, I am going drop them down the garbage disposal. This is just foul. P.S. Dilo and Tim Tebow are now in love. They plan on going to see Marley and Me tonight and then breaking down Tim’s game film from last night. Anyone who is reading this, please go to Dan DiLoreto’s facebook page and write on his wall to congratulate him for finally finding his soulmate. ← Previous Story it snowed where?